Chair for use with Desk or Dressing table. The Cameo Chair is in a shaker style and is a perfect addition to any bedroom. The stone white lacquered finish gives a clean classic look and can be matched with any decor. The Chair features an ergonomic back rest that is angled to reduce back pain and keep good posture. The back rest is slatted and there are supports on either side of the legs for increased durability. Тhe Cameo Chair is supplied flat pack but is easy to assemble using the instructions provided. 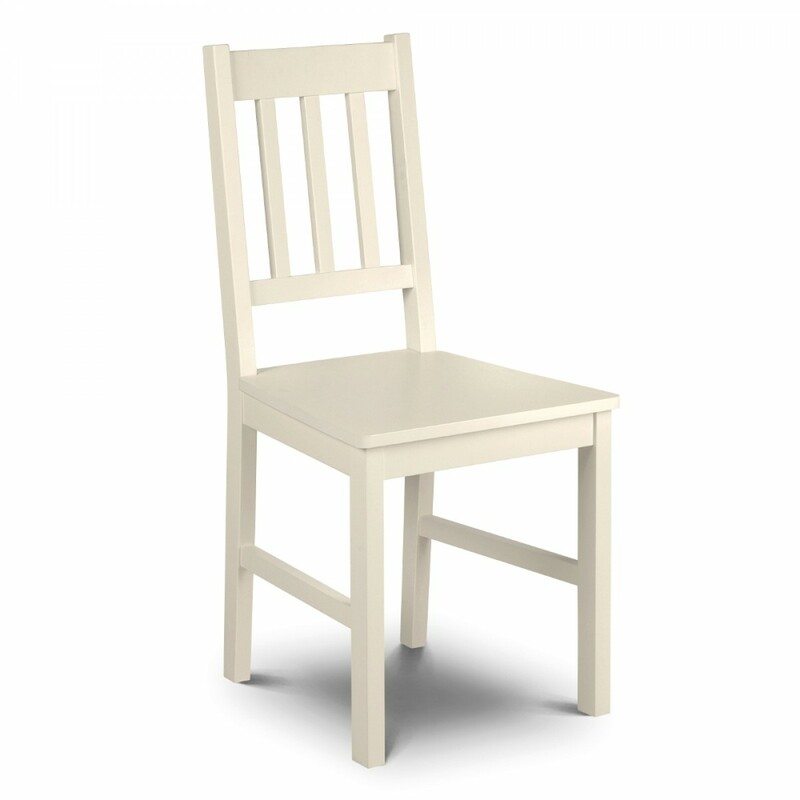 The Cameo Stone White Chair is part of the Cameo Nursery, Cameo Children's and Cameo Bedroom Collections.